Join local social clubs. It’s important to build your personal network, and joining social clubs is a great way. Not only will you be exposed to great events, you’ll also meet potential clients, employees and friends. Check out clubs like the Union League for “Young Friends” memberships, as well as the Young Friends clubs at your local museums, orchestra, and ballet. Join associations. 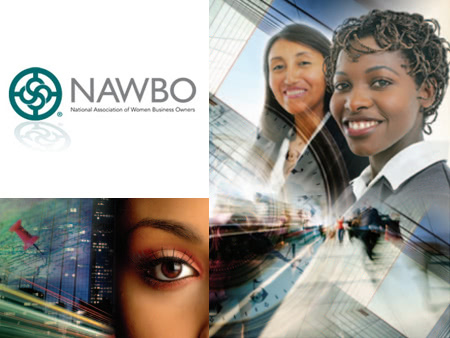 If you’re a female entrepreneur, look into local chapters of the National Association of Women Business Owners. If you are starting a plumbing company, check out the local chapter of a national plumbers association. You’d be surprised how many fields have associations. You can receive great product discounts, invitations to great conferences and a network of peers. Entrepreneurship can be lonely, so cultivating a group of peers is important. Create a small group of 5 like-minded entrepreneurs. You may have already heard of these “mastermind” groups. But what do you call a group for those who haven’t yet mastered something? Call it whatever you like, but build one – quickly. Make sure that the four other people you engage don’t have competing businesses, and think of ways you can help each other. I know of groups that meet monthly and each member has to come to the meeting with at least one lead for another member of the group. Also, be mindful of time. You’re all very busy entrepreneurs, so don’t schedule more than 60 to 90 minutes once a month. Host a dinner/happy hour each month and invite new people. Consider this a startup marketing expense. 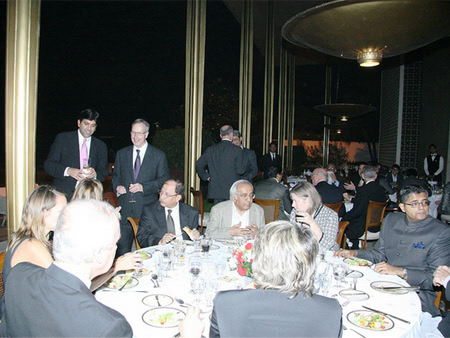 Host an event for a select group of people you want to get to know. Be strategic in your invitations, and make sure you personally meet and greet each person who’s on your list. Allow each person to bring a guest if it’s a happy hour. If you’re hosting a dinner, it’s okay to extend the invitation just to that person. Also, make sure that the people you’re inviting can benefit from getting to know your other guests, not just you! I love to cook and entertain people in my home, so I usually host dinner parties once a month. At this point in my career, my parties are more about hanging out with my friends and mutual support. But they’re always fun, so don’t make it all about business! Don’t try to make withdrawals where you haven’t made deposits. It’s really unfair to email people asking them to mentor you when you have nothing to offer them. I know it sounds harsh, but it’s true. I get hundreds of requests for mentorship each year, and the ones I normally respond to (outside of the tip sheet I give to everyone) are the people who say, “Can I take you to coffee?” The reason is, that small gesture shows that the person believes in a mutually beneficial relationship. I have a good friend who built his entire business off of taking people for lunch – even when he barely had the money to do so. And he was able to convince some pretty important people to have lunch with him and eventually fund his business. If you ask him his secret to success, he’ll tell you it was simply asking people to lunch. Give back. My most important contacts professionally have been a result of my philanthropic work. I tend to join the marketing committees of nonprofits I work with, and meet other people and collaborate on ideas. They get to see my skills firsthand and evaluate me as a colleague. You shouldn’t join an organization you’re not passionate about just to meet people, because that will backfire. But if you have an opportunity to partner your skills with a deserving organization, generating new business will be a nice result. Participate in conferences and panels. I really like to spend time working – whether it’s at home or in the office. And while I love to travel, I don’t like being away from the office during the week. But I will make the exception for the right speaking engagement. Panels have been a great way for me to make new friends and expand my professional network. I’ve met some of my best friends on panels, and it makes sense. The best organizers work to place people with synergy on panels together. If you can have an hour-long conversation together on a stage, you probably will want to spend more time getting to know those people.